Packing for an extended trip in a foreign country can be daunting, especially if you are short on time and money. 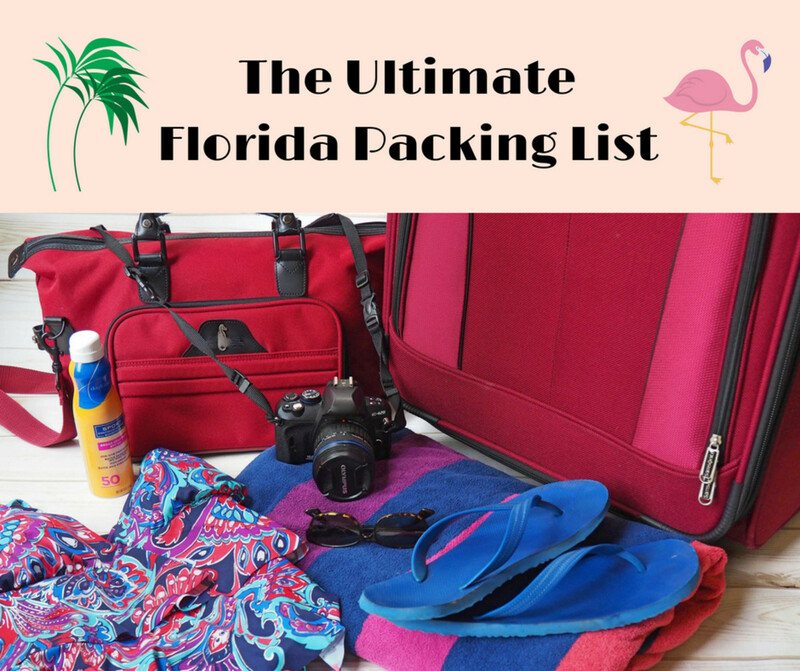 In your previous research, you may have found different lists of things to pack, but you are left without many of the details that will help you personalize your packing list to accommodate your unique trip. So, what do you really need and what can you leave at home? How much do you pack when all you have is one backpack? 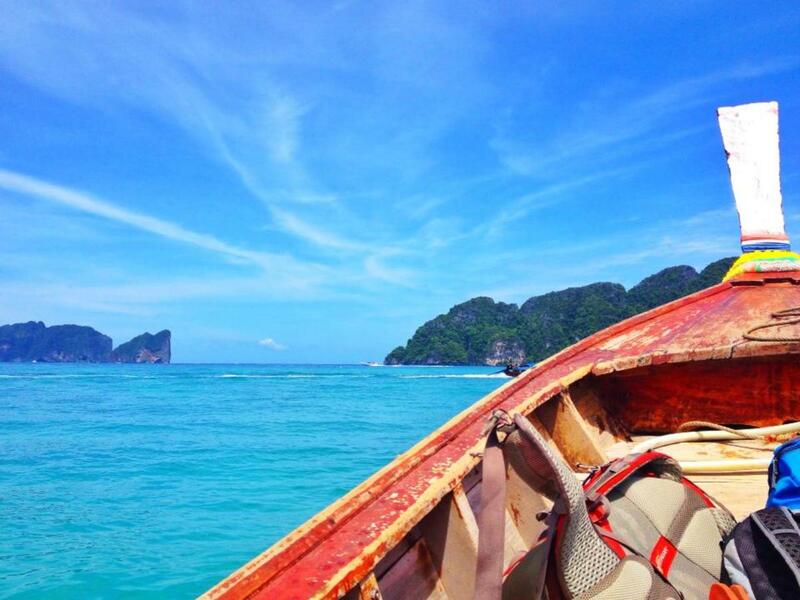 Last summer, I spent 8 weeks backpacking through Thailand, from May 1st-July 2, 2013. Throughout my trip I found myself reflecting on the packing process and wondering why there wasn't more useful information available to help me as I packed. My goal is to help those of you who are in my hypothetical shoes now, before you enter Thai temples barefoot. My suggestions are here for your benefit, but remember not to get caught up in what worked for me, just as you shouldn't plan your trip around what worked for someone else. Backpacking is a back to basics, personal adventure that allows you the freedom of going where the wind takes you. The most important thing to remember is this is your trip, and while you should be prepared and knowledgeable of the country you are traveling to, you should keep your agenda close to heart. If you're not comfortable planning the trip, you're certainly not going to be comfortable living it. Here are some helpful hints on how to buy a pack that is best suited for your Thailand adventure and what type of clothing to pack. Take some time to consider what type of experience you are looking for. Are your interests mainly in art and culture? Would you rather hike your way through national parks, delving into bat caves and rock climbing off the coast? Your trip determines your pack list. Everyone's perfect pack list is a unique snowflake in an avalanche of conflicting suggestions and differing opinions. Take my suggestions for what they are: Advice to you on what worked for me. 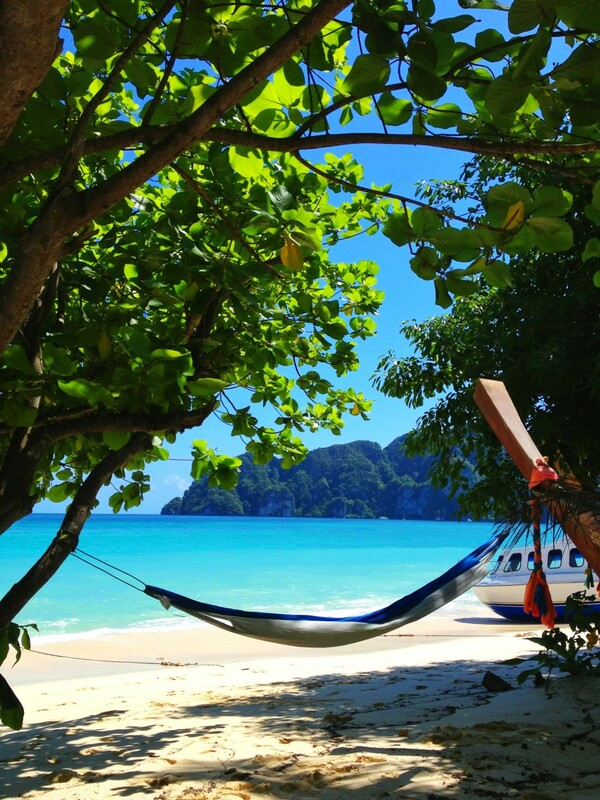 My Brazilian hammock, saving some shade under a few trees on Long Beach, Koh Phi Phi. Hammock fits in to a small, compact carrying case with easy assembly and tear down. Think about the demands of your trip when looking for a pack. Are you going to be on foot most days? Will you have your pack with you at all times? Also, think about your own personal limitations. How much weight can you carry on your back? Can you lift your pack above your head when fully packed? Transportation in Thailand is sporadic and unreliable at best. Minibuses and taxis that are available for hire, especially in smaller towns, often require you to put your pack on the roof of the vehicle. The driver will climb on top of the vehicle expecting you to hand your pack up to him. You should be able to lift your pack over your head, and make sure you are comfortable with the straps and belt on your pack to allow for easy removal. You will be traveling in crowded subways, on busy streets, and in boats, buses, cars and trucks filled with other people and their belongings. Buses and taxis can get extremely crowded, and drivers like to squeeze in as many people as physically possible. This means there is little room for you, and even less room for your pack. Your pack could end up underneath you, on top of you, or in a pile at the back of the bus, unattended. Your pack could even end up precariously tossed in the front of a taxi boat. It is important to pack smart so you are not as overwhelmed by your baggage as the beauty surrounding you. Get fitted. At any outfitter, employees should be available to fit you for a pack. 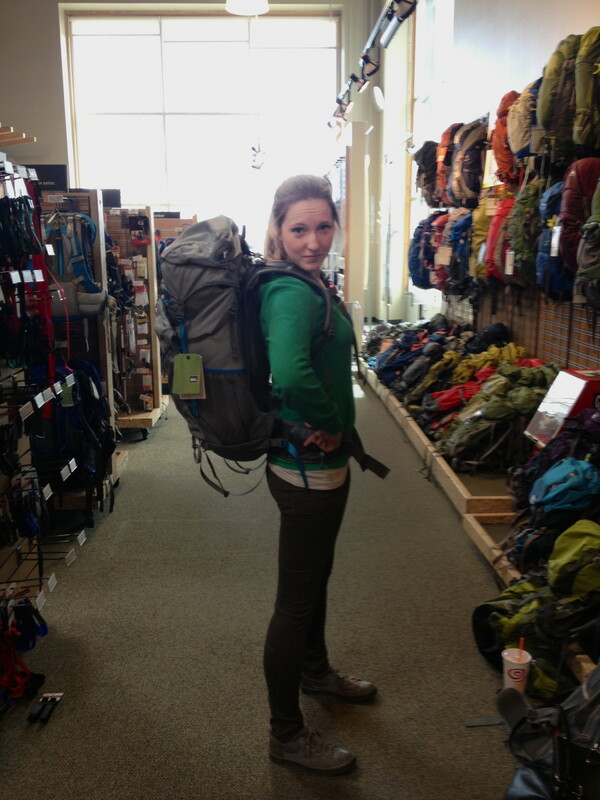 It is important to get fitted so your pack fits you properly and you don't experience any discomfort or rubbing. Make sure you get the measurements for your torso, hipbelt and harness. Try it on. Even with the proper size and adjustments, some packs just don't feel right. Thankfully, there are hundreds to choose from. Take note of the different details on each pack and consider what is important to you. For instance, the easy accessibility of the floating front pocket of the REI Flash 52 was a selling point. Also, the comfort and stability of the sturdy hipbelt made a heavier pack easier to maneuver. Research. Compare prices online and read buyer comments. Read reviews written by people who went on a trip that sounds similar to the trip you are planning. What did they like about the pack and more importantly, where was it lacking? Do the pros outweigh the cons? Personalize. The overall best fit, size, price and pack that will best accommodate your travel plans should take the win. Reading details, specs and reviews are helpful, but in the end your pack should reflect your own personal needs. Get the pack that suits you best. Feeling confident with the REI Flash 52 after a day of research. What size pack would you take to backpack through Thailand? In choosing the size of your pack, many cites advise you to consider the length of the trip you are planning. Most packs are designed for overnight, 1-2 night, or 5+ night trips, so advice on considering the length of your trip when it doesn't exceed one week is helpful. But for those planning a several week or even several month long trip, it is most important to consider the variety of activities you are planning, and therefore gear and clothing to accommodate. The less you pack, the less you have to worry about keeping track of. 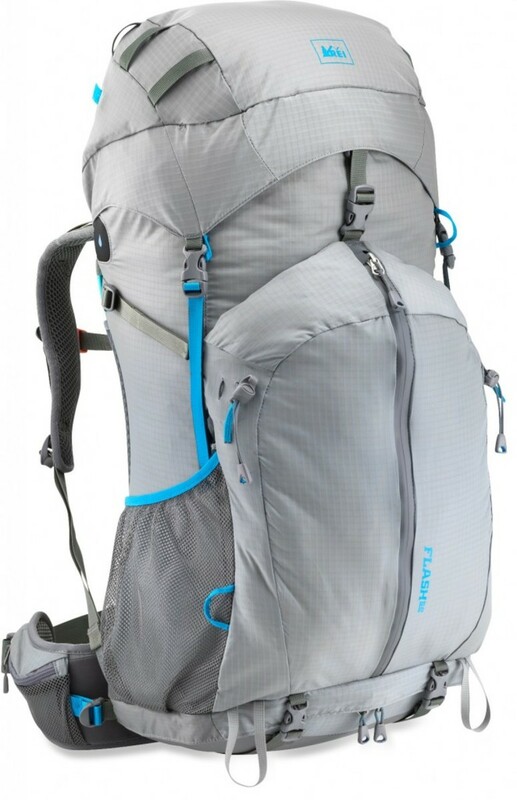 A medium size pack such as the REI Flash 52 liter is recommended for any length trip. Bringing too small of a pack isn't a concern, as long as you have room to pack the essentials. Your goal is to find the smallest pack possible without sacrificing the necessary space for essentials. Knowing what your day-to-day agenda looks like will help you when packing for Thailand. Think about what type of trip you want to take before you begin the packing process. 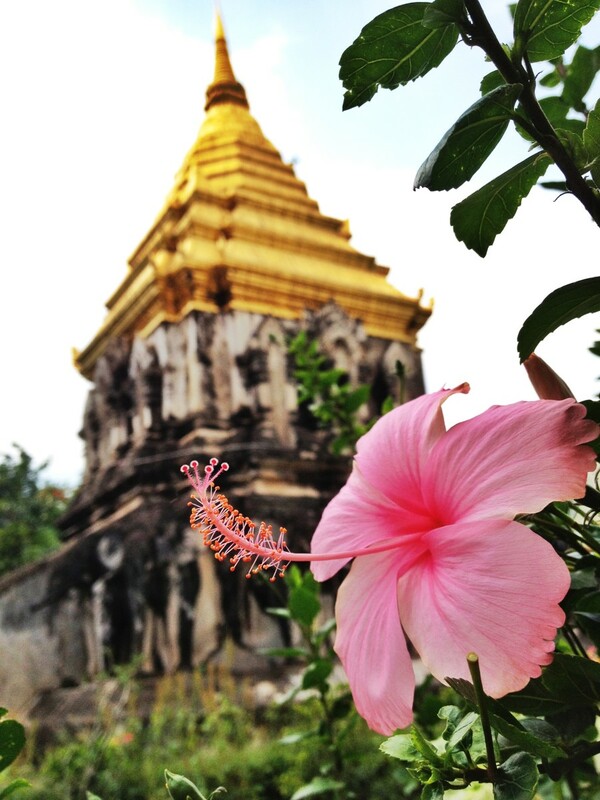 A beautiful escape from the noisy city at a peaceful temple in Chiang Mai. 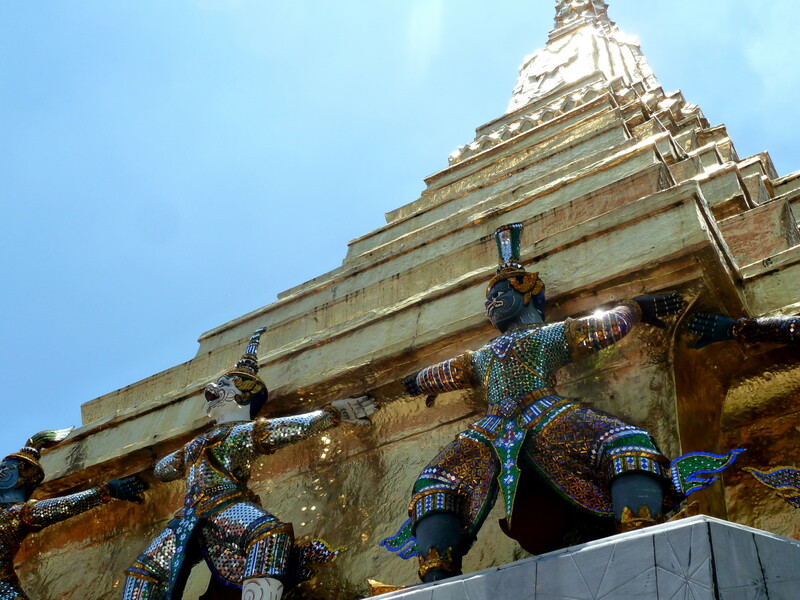 You are planning a trip to Thailand to see the ruins, temples and golden Buddhas. You want to taste the mangoes with sticky rice at the street market and spice it up with the green curry in local restaurants. 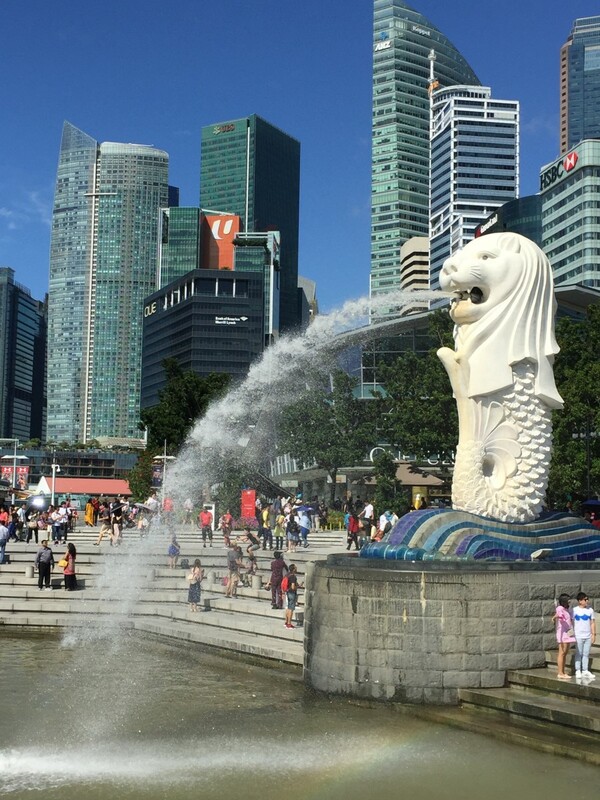 The trip you are planning is predominantly a sightseeing tour of the country that can be accomplished from a tour bus or by walking through the busy city streets. 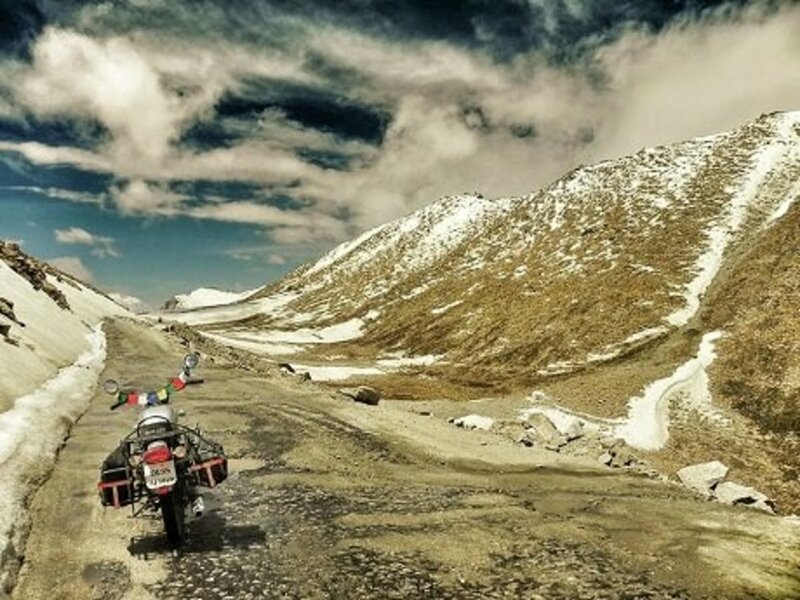 You don't plan on straying too far from the pavement unless it's a short trip up the mountain to visit a temple. 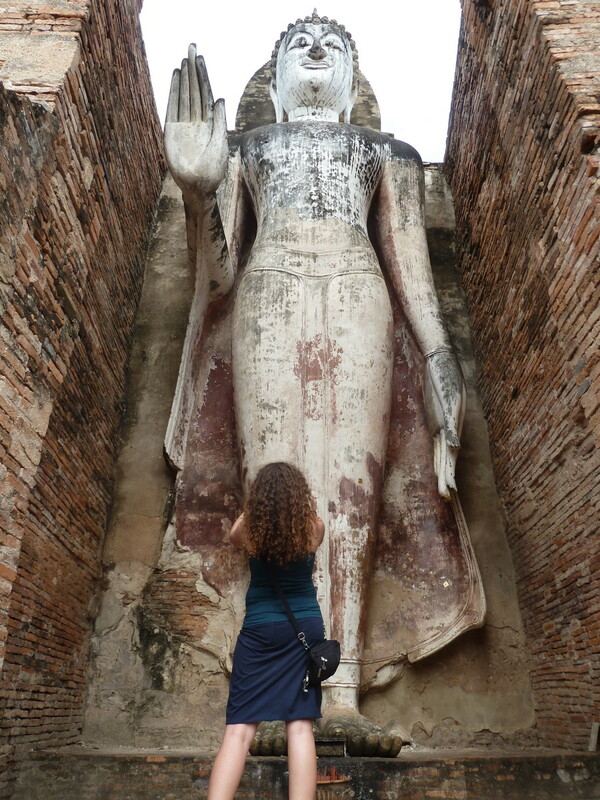 Taking in the ancient ruins at Sukhothai Historical Park. Thai culture is modest. Even in the hot summer when temperatures soar over a hundred degrees you will see the local people completely covered. While your physical attributes may keep you from blending in, assuming you're not of Asian decent, you might consider blending in with your dress as a sign of respect for the Thai culture. This means wearing pants or a long skirt and a lightweight blouse or shirt with sleeves. If you plan on spending some money on your trip, wait until you're at a market or in the cities to buy a colorful scarf or long skirt for your trip. There is no better way to assimilate into a culture than to wear what the people wear, especially if you are on a sightseeing tour. You are going to be walking through local streets, museums, temples and restaurants, coming in contact with many local people. Not only will you feel more comfortable in the proper clothing, but you will make those around you more comfortable as well. Dress in layers. The best way to dress for all of the different activities you will be doing is to dress in layers. If you find yourself out in the hot sun, it is okay to have a sleeveless shirt on to keep you cool. However, when you enter a temple complex, your shoulders must be covered. Make sure you always have a scarf or blouse with you to cover up. Wear shoes that are easy to take on and off. 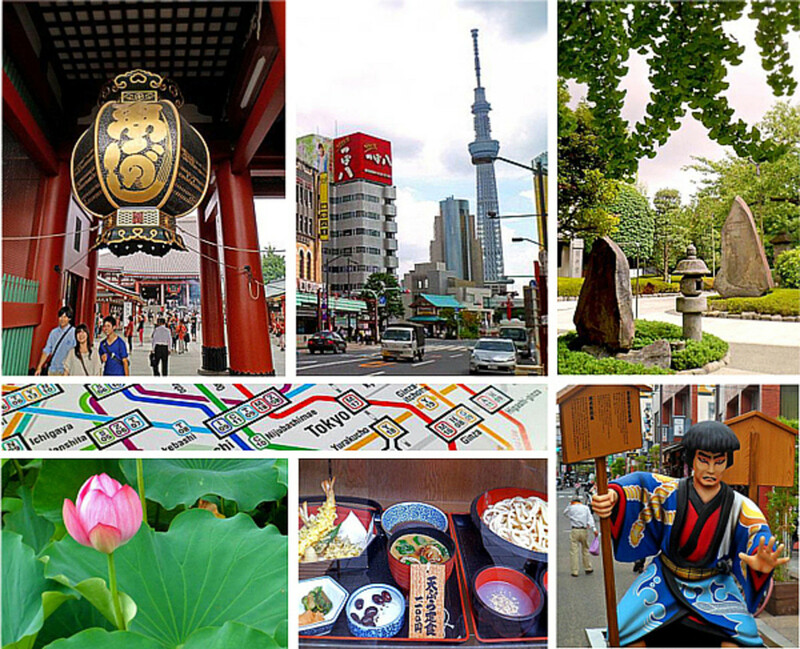 While sightseeing, you will be going in and out of small stores and wandering from temple to temple. You will not be able to wear your shoes inside a small store or a temple. You will be expected to remove your shoes if you go inside a local's home or set foot into any royal or religious place. There will be times when you are unsure if you should remove your shoes. If you are ever unsure, remove your shoes and place them by the door. Usually there will be a clean, finished floor when you are expected to remove your shoes. Visit The Grand Palace in Bangkok, built in 1782. Containing 218,000 square meters inside its four walls, including the Temple of the Emerald Buddha. You're going to Thailand to get down and dirty... and you will get dirty. Especially if you are planning your trip during Thailand's rainy season which can predate May and last through October. The unpredictability of the hot and humid climate makes packing difficult, so the best strategy is to be prepared for anything. Take a trip to the last remaining Elephant Kraal in Ayutthaya, the ancient capital of Thailand. Head into the jungle at Khao Yai National Park with Bobby's Jungle Tours. There are countless adventures to take that will have you interacting with the environment, both in the cities and in the national parks and jungles. It is important to wear the proper gear when you venture off the beaten path. Thailand is a fertile environment consisting of floodplains and jungles, thick with vegetation and plenty of water sources. If you decide to take a jungle tour or hike through a national park, you should be sure to completely cover your body, especially your arms, legs and feet. The jungle is made up of prickly brush filled with poisonous insects that you need to protect yourself from. Any exposed skin is a threat to your safety. Adventure pants. Found at any outdoor outfitter, a hiking pant with an all-weather finish will suit your needs in the jungle. You want your pants to pull moisture from your body and protect you from sharp vegetation and insects. These pants can be worn in the city and off trail, whether you are in a temple or in a kayak. Rain jacket. A lightweight, waterproof jacket will keep you dry, scratch-free and void of bug bites. Though the jungle is thick with suffocating heat and humidity, it is important to stay dry and covered. Hiking boots. Preferably mid-ankle boots that provide stability, support and protect both feet and ankles from exposure. You will need durable, waterproof boots to hike through water, high grass, and muddy fields. A waterproof sandal is an excellent addition to your packing list, especially if you plan on kayaking, boating, or hiking along beachfront or water-laden trails. Since it is constantly wet in Thailand, it is best to purchase waterproof gear that will dry faster and keep you more comfortable. The Keen Clearwater CNX is a waterproof, slip resistant adventure sandal with a flexible sole that allows a "free" foot sensation while providing necessary arch support. You have the time and adventurous spirit to fill your trip with a multitude of activities, both in and out of city limits. You want to visit temples and hike to waterfalls by day and experience the local night scene after dark. You plan on visiting both museums and nightclubs and partaking in an overnight jungle trek or two along the way. You want to see it all, do it all and taste it all. The good news is, you do not have to pack it all. When you take day trips, you don't want to bring your pack along with you. Pack a small pack or side purse, or bring it with you as a carry-on. You should keep your passport and money with you at all times, water, a snack, sunscreen, and bug spray. Your smaller pack should be easy to carry and not too bulky. You want something that will be indiscreet in large crowds and easily accessible for you. Satchel style side purses and small day packs are recommended, depending on your budget. It is possible to find purses in Thailand, though not recommended based on the inconvenience of finding the style you want when you want it. Remember: Anything you're not wearing, you're carrying. Don't weigh down your pack with heavy hiking boots that you might use. 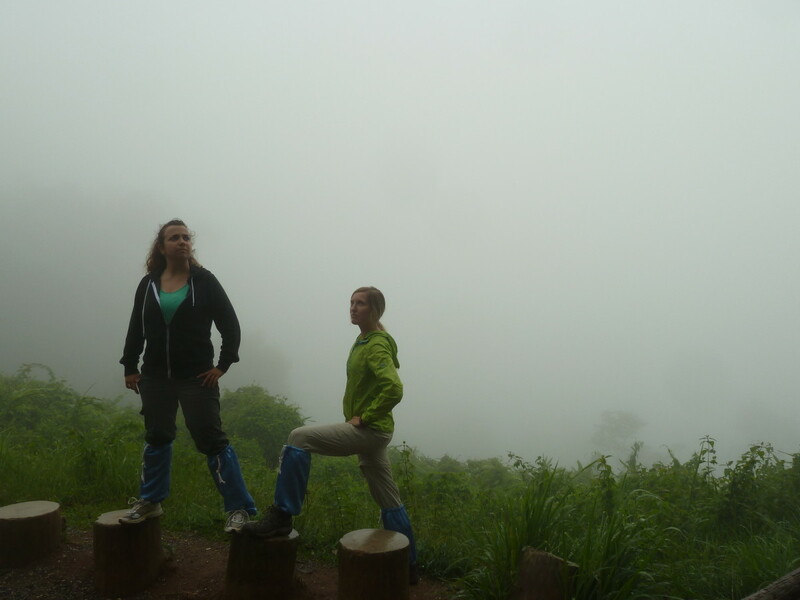 If you're not committed to a jungle trek before you get to Thailand, don't pack boots. If you change your mind when you get there, improvise. One or two days of trekking are not worth the weeks of carrying the extra weight of boots in your pack. 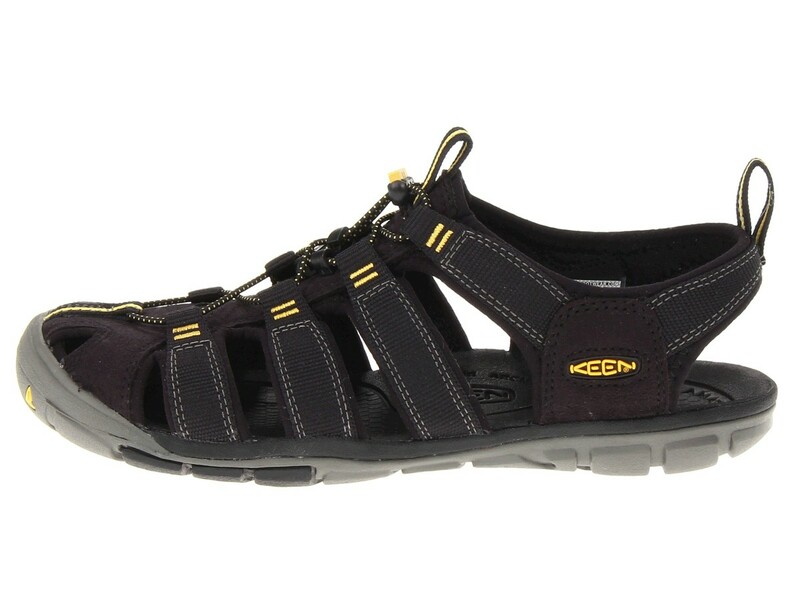 *Do pack adventure sandals like the Keen Clearwater CNX that are versatile and will be used often. Even if you're not in a kayak or rock climbing, your sandals can be worn around town, to museums, restaurants and anywhere in between. The hard toe of the Keen sandal will protect your feet in the same way as a shoe or boot while allowing your feet to breathe like a sandal. 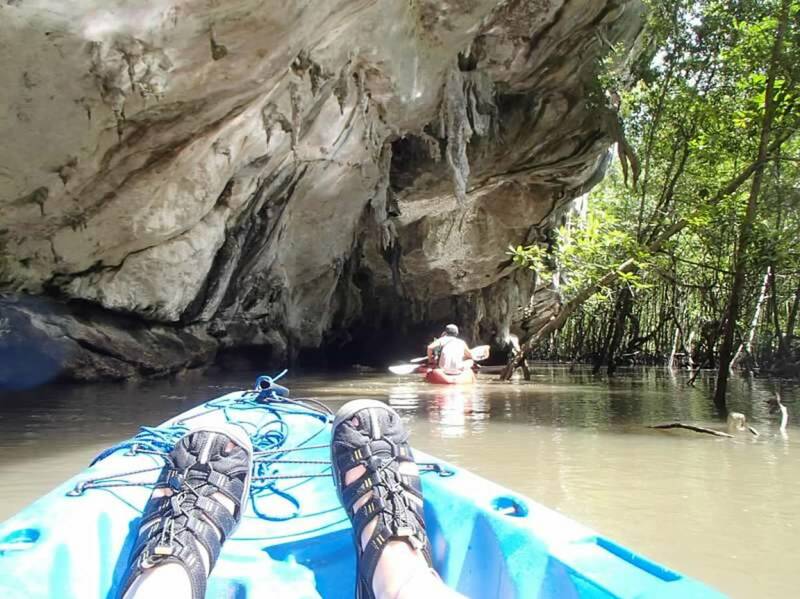 Adventure sandals (Keen Clearwater CNX) kayaking through the Mangroves in Krabi. 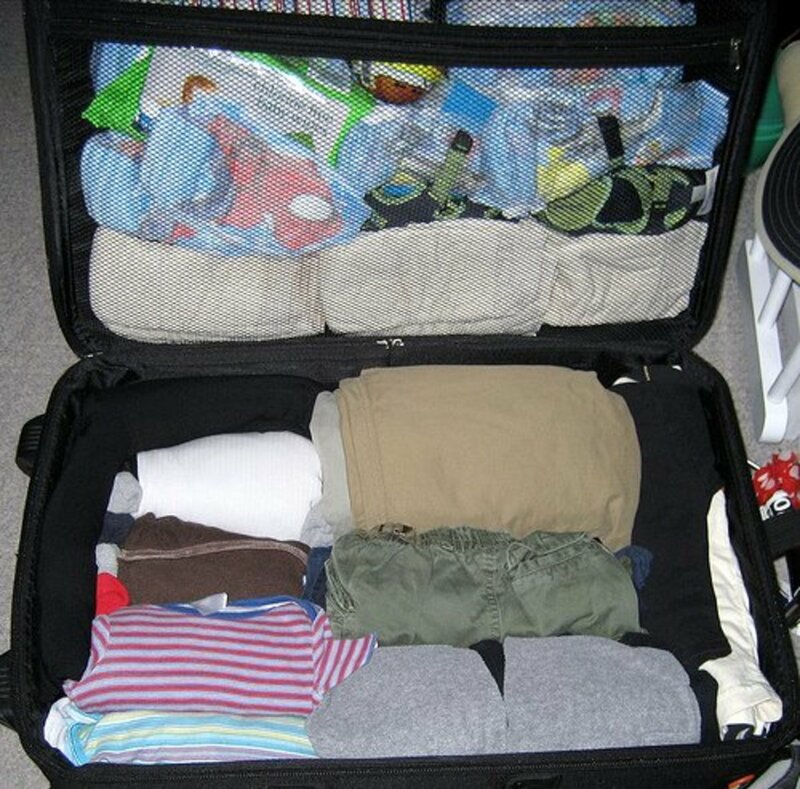 Don't pack extra clothing "just in case." If you really need an article of clothing that you didn't pack, you can buy it when you get to Thailand. *Do bring one of each essentials: Adventure pants, Button down shirt with convertible sleeves, athletic sleeveless shirt, long skirt, dress. Pack articles of clothing that are versatile and can be worn for many uses. Bringing a lightweight, cotton dress is an easy option for any type of nightlife in Thailand. A dress can also be worn during the day. 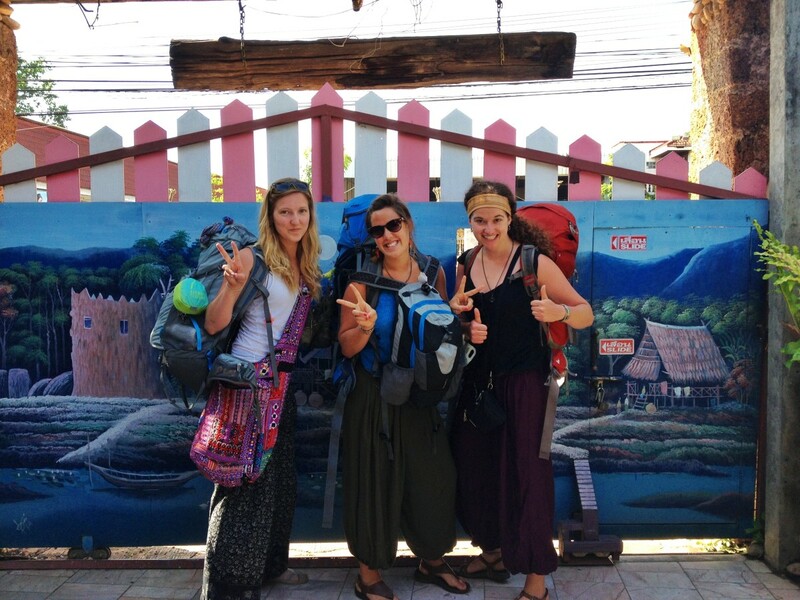 To save space in your pack, bring only one dress for nighttime and indulge yourself in the cheap, colorful clothing that is abundant everywhere you go in Thailand. 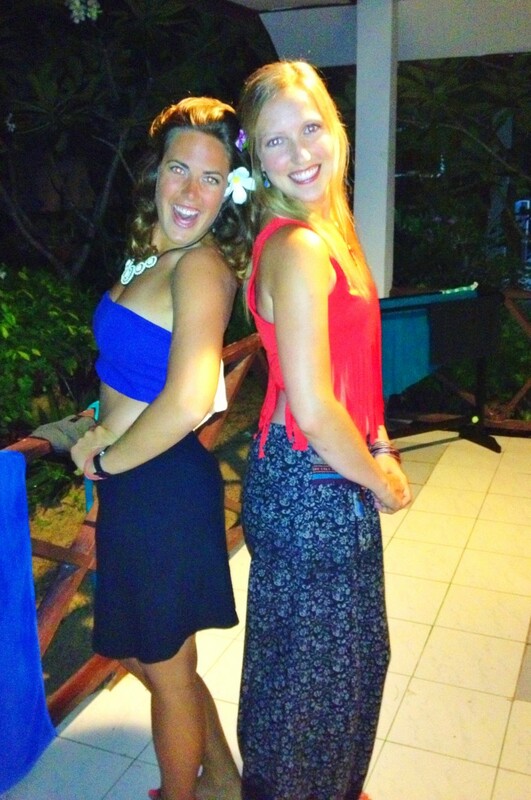 Dressed in Thai-bought clothes the night of the full moon on Koh Phi Phi. Local jewelry and fresh flowers as accessories. Don't plan for a tan all day, every day. The heat in Thailand is sweltering and can be exhausting, especially when you spend the day trekking through the jungle and sightseeing. Bangkok is less than 1,000 miles from the Equator (compared to Key West, Florida, for example, which is nearly 1,700 miles from the Equator) and is still considered central Thailand. The islands, much farther south, reach even higher temperatures that can be dangerous for visitors who aren't accustomed to the heat. Do protect yourself from the sun with a scarf or hat to cover your head and shoulders. Many shirts come with built in UV protection to help protect your skin from the intense rays of the Thailand sun. For the best protection, use sunscreen, UV protective shirts and a hat or scarf. While it can be tempting to ditch the layers and capture that golden brown glow, your most valuable souvenir is bringing your good health back home with you. 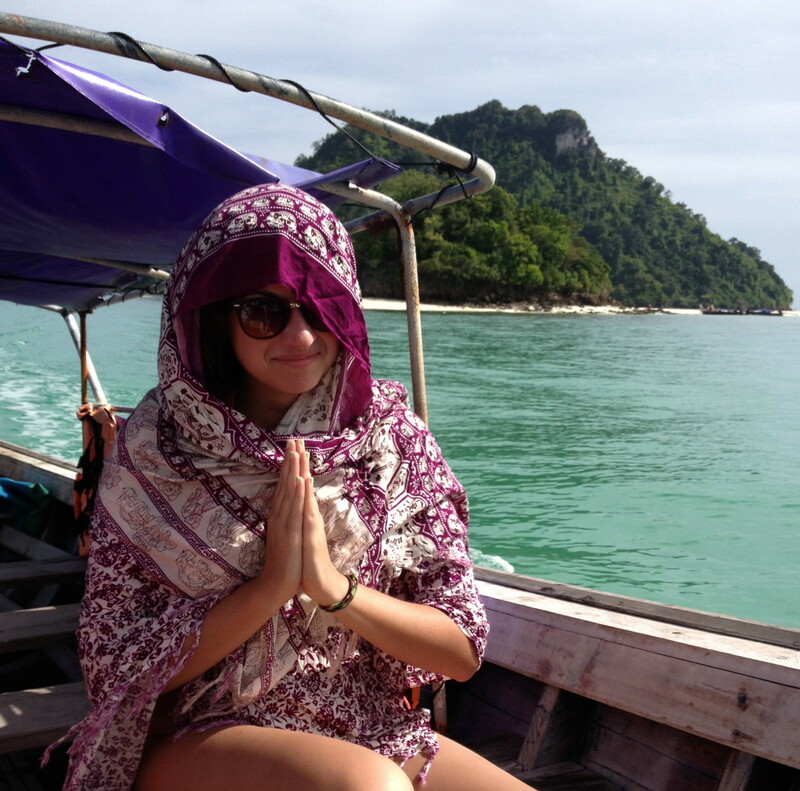 Staying covered up in a taxi boat from Chicken Island back to Krabi after a day in the sun. In the end, less is more. It is inevitable that your packing list will come up a bit short. Learn to adapt to new situations and survive with what you have. Yes! A brazilian hammock I would pack for sure! I have got this one https://www.hammockdream.com/shop/brazilian-hammoc... and I am ready to go! Great hub! Detailed and accurate, I especially like distinguishing what type of travel your intending! We currently live in Thailand and I would recommend this hub to friends visiting! Thailand is on my radar. Wonderful hub! Great photos and very well written. Voted up! 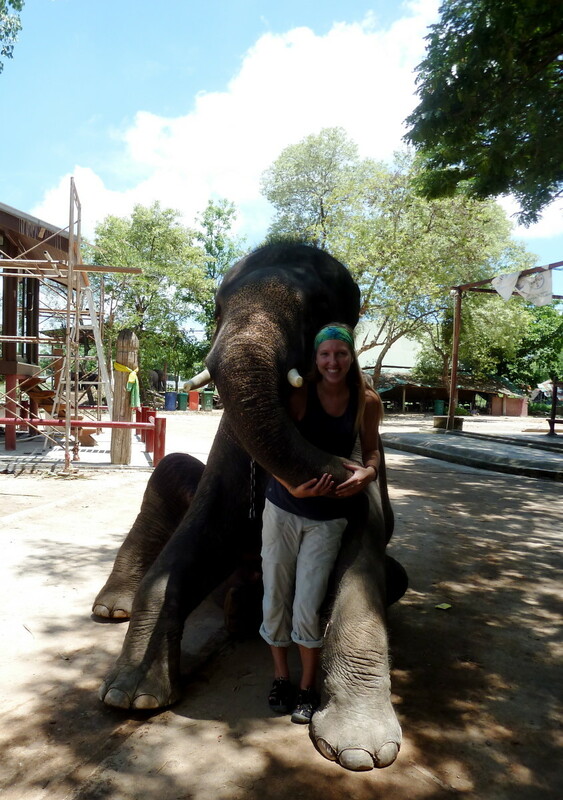 We love hub written by personal experience-Thailand can be a magical place to visit! Having just visited Thailand recently- I am in awe of your detailed, experiential, information rich hub. Your personal take on this subject, nicely illustrated with the wonderful photographs is a wonderful read. voted way, way up/awesome. Thailand is a beautiful place and apparently a great place to vacation. Great tips on finding the right backpack. Never thought to be fitted for one. Thailand is a wonderful place with wonderful people. I didn't do any hiking when I was there, but I would thoroughly recommend it as a vacation spot. Great hub! Wow! Extremely useful and detailed! I will keep this information in mind as I pack!